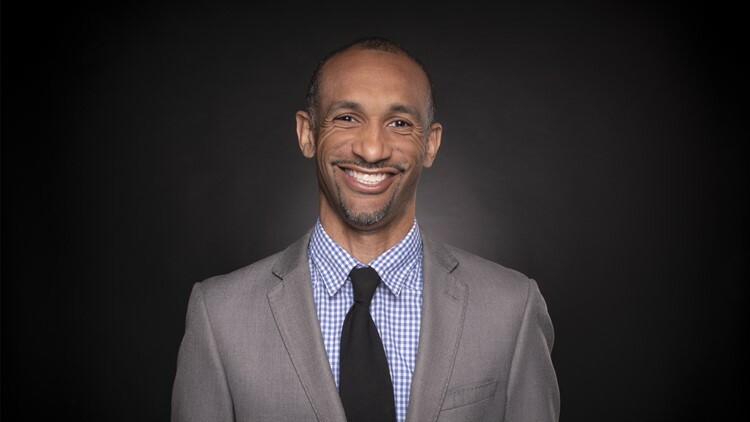 Kevin John is a Host and Multi-Skilled Journalist at ABC10 in Sacramento, Calif., specializing in sports. He's is thrilled to be back where it all started…Northern California. Kevin was born and raised in Stockton and is a proud graduate of Bear Creek High School. Growing up, Kevin always dreamed of becoming the left fielder for the San Francisco Giants. However, due to Kevin’s lack of natural athletic ability, that dream soon fell through. Therefore, Kevin focused his attention on something he did well…talking. Throughout his matriculation at Morehouse College, Kevin was involved with speech, debate and theatre. After graduation, Kevin moved to Hollywood to embark on a career in entertainment. He worked for several years as an actor, host, writer, dancer, and reality show contestant. He also hosted several programs for AfterBuzz TV. Seeking more fulfillment, Kevin started studying journalism and he instantly fell in love with storytelling and presenting. Prior to coming to Sacramento, Kevin was the sports director for Media Gateway in Little Rock. Kevin also worked as a sports anchor and reporter for CBS-19 (KYTX) in Tyler, Texas. Be sure to connect with Kevin on his social media accounts. You can follow him on Facebook, Twitter, and Instagram at @heykevinjohn. You can also shoot him an e-mail at kjohn@abc10.com.